We've been in our house over five years now, though sometimes I think it looks a bit like we've just moved in. It's big enough, but because it's on three storeys it's a bleddy nightmare to maintain and look after, it drives me wild. Worse still is the garden, because our house was a new build, the garden seems to be bottom of the list of priorities for the builders. It is pure clay, with rocks and all sorts of things in it. We've literally spent thousands trying to get it right and make it workable, but as one of the gardeners once told us, "this garden is a money pit". Of recent years we've more or less stopped bothering trying to make it look good, my husband mows the lawn every week in summer, but that's about it. In fact, to be quite honest, we hardly ever go out there, it's always water logged and a swarm of mosquitoes seem to have taken root in our dry stone wall. I have heard that the weather this summer is going to be slightly better than the last few years, I really hope so, because now the boys are older and a bit more mobile, it would actually be quite nice to get a little more use out of the garden. We do have an outside "security" light, until the police told us that they actually help burglars break in rather than scare them away! 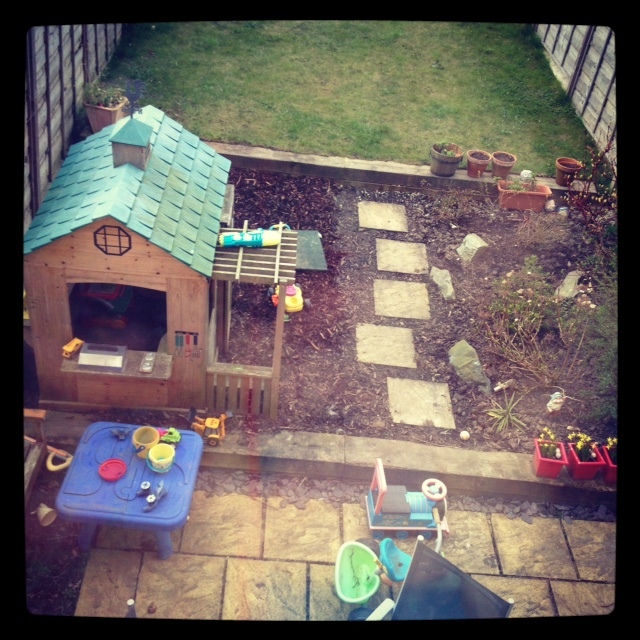 So now we've switched it off, and at night time our garden is really really dark as we aren't near any street lights. It would be nice to get some solar lights, just to brighten things up. 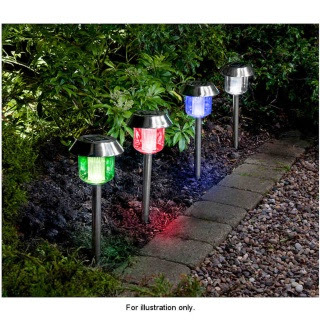 As a bit of a bargain hunter, I like these dragon fly solar lights that are only £9.99, just to add a bit of fun to the proceedings, I wonder if our garden does lack a bit of colour. 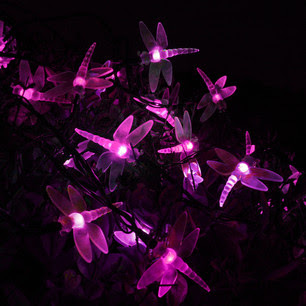 Solar dragon fly lights, £9.99 bargain! Another fav of mine, B and M bargains has some good deals on solar lights as well, these are £7.99 for a pack of four. B and M bargains solar lights £7.99 for a 4 pack. It's all about having a bit of fun and adding a splash of colour (did I hear someone say tacky?!). I've also come to the decision that solar lights start to look pretty sorry looking after a year or so, so it makes sense to buy cheap ones you can regularly replace once they start to look tatty. What's your garden like? Do you have any lights and where did you get them from?